Oppo on Tuesday launched a new variant in its F3 series of selfie-focused smartphones for the festive season. 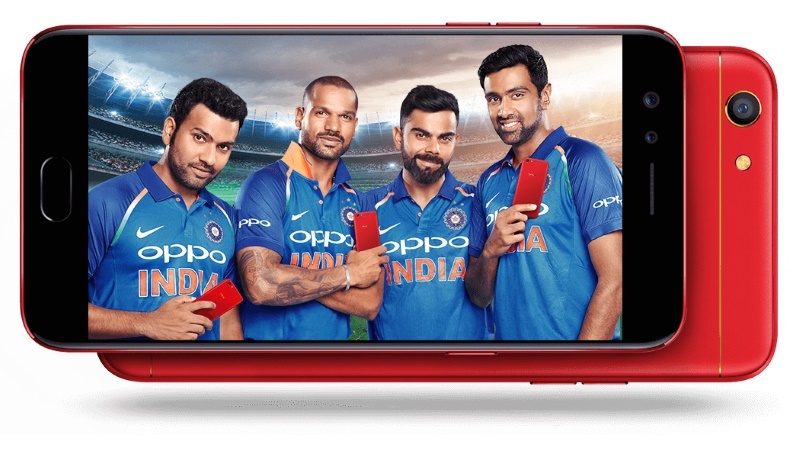 Called the Oppo F3 Diwali Limited Edition, the new smartphone shares similar specifications to the original Oppo F3, which was launched in May this year, but comes in a new Red colour. The Oppo F3 Diwali Limited Edition was being teased by the Chinese company for a while, and it comes as the third limited edition model after the Deepika Padukone Limited Edition and Limited Black Edition that were launched earlier this year. The specifications on Oppo F3 Diwali Limited Edition include a front-facing dual camera setup, which is the biggest highlight of the smartphone. There's one 16-megapixel 1.3-inch sensor with f/2.0 aperture, and another double view wide-angle camera that has an 8-megapixel sensor. While the former sports a 76.4-degree wide-angle lens, the latter sports a 120-degree wide-angle lens that allows for 105-degree field-of-view group selfies. The Oppo F3 comes with various camera features, including the Beautify 4.0 app, Selfie Panorama, Screen Flash, and Palm Shutter. At the rear end, it sports a 13-megapixel camera having a 1.3-inch sensor with PDAF, and an LED flash. The dual-SIM (Nano-SIM) Oppo F3 runs ColorOS 3.0 based on Android 6.0 Marshmallow. The smartphone sports a 5.5-inch full-HD (1080x1920 pixels) In-Cell TFT 2.5D curved display with Corning Gorilla Glass 5 protection and 401ppi pixel density. It is powered by a 1.5GHz octa-core MediaTek MT6750T6 SoC coupled with Mali-T860 GPU and 4GB of RAM.